Visit Greece and the Greek Islands a mythical lands for unforgettable holidays. Tourism in Greece is a must! Visit Greece and the Greek Islands, a mythical land for unforgettable holidays. Tourism in Greece is a must! 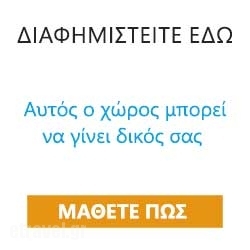 eTravel is a trustworthy Travel Catalog - Tourist Guide for people to list, discover, and reserve exceptional accommodation and gastronomic journeys in Greece — online or from a mobile phone or tablet. Also eTravel offers a wide range of small and medium sized businesses, covering around 25.000 accommodations, restaurants and café-bars, and an extensive opportunities of travel choices and promotional features to help tourists and business owners make the most of this innovative referral Tourist Guide and Catalogue platform. 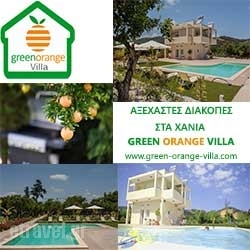 Whether an apartment for a night in Rethymno, a room for a week in 哈尼亞, or a villa in 米科諾斯 for a month, eTravel connects tourists, explorers and owners to unique tourism experiences, at any price point, in more than 1500 destinations around Greece. And with ready-to implement promotional and marketing strategies offers economic efficient and effective method for business owners to list their accommodation or gastronomic facility and attract customers from all around the world. Additionally, with our unique Refer-A-Friend program eTravels provides the opportunity to win bonuses and discount coupons for each friend or business owner you refer. eTravel: Search better. List Better.Book better. Refer friends. Get rewarded. Promote Your Business and Get Rewarded! One day, whenever anyone contemplates a trip around Greece for an overnight stay or meeting, for business or pleasure, they will always ask themselves: ‘Is there an eTravel hotel or restaurant at my destination? Have you ever vacationed in Greece and wished that you knew the best local spots to visit? If so, you’re not alone. eTravel a dedicated Travel Catalog - Tourist Guide is a selective catalogue of the best accommodation and gastronomic destinations in Greece. Our Greek Travel Catalogue-Tourist Guide is here to help you prepare perfectly for you next trip in Greece. Read through hundreds of listings, tips and tricks that cover thousands of locations in the Greek Islands and mainland. Discover 健康選擇 飲食 點擊瀏覽，獲取更多資訊.